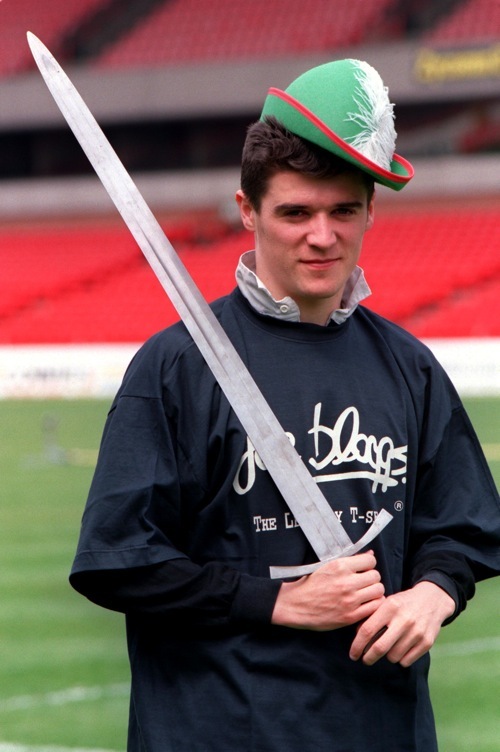 May 1991: Nottingham Forest star Roy Keane helps to promote that year’s FA Cup final (the one when Gazza went mental on Gary Charles) by donning a half-arsed Robin Hood costume. The repressed rage caused by having to wear that little hat was what tipped Roy over the edge at the 2002 World Cup. Probably. Joe Bloggs. Joe bloomin’ Bloggs. It’s Keano in his magic hat!! !